The website, www.tourtravelworld.com ("Site") is an electronic web based platform for exploring opportunities and enhancing outreach using the online search and other tools available for those who deal in tour and travel business. It is owned and managed by Weblink .IN Pvt. Ltd. ("Company") with its registered office at 33 & 33A, Rama Road, Industrial Area, Near Kirti Nagar Metro Station, New Delhi, 110015 (India). The User(s): For purposes of this Agreement, a "User" is any person who accesses the Site for whatever purpose regardless of whether said User has registered with TourTravelWorld.com as a registered User or whether said User is a paying User for a specific service provided by TourTravelWorld.com. A User includes the person using this Site and any legal entity which may be represented by such person under actual or apparent authority. Un-Authorized Member / User: Any person who does not have a legal or a contractual right to access the services, but does so, will fall within the definition of an 'unauthorized customer' and will be subject to the terms and conditions, and expressly so with respect to respecting the intellectual property rights of the provider, and abiding by licensing terms and conditions. Free Services: Any person/entity that joins the Site just with the intention to enlist his listing and showcasing his business online without availing any specialized services thereto. That the Users agree to use the Site only for lawful purposes, and in a manner which does not infringe the rights of, or restrict or inhibit the use and enjoyment of this site by any third party. Such restriction or inhibition includes, without limitation, conduct which is unlawful, or which may harass or cause distress or inconvenience to any person and the transmission of obscene or offensive content or disruption of normal flow of dialogue within this site. If any User/individual /entity become aware of any inappropriate content by any User of this site, or otherwise please contact us by clicking on the "Feedback" link at the footer of every page. This Agreement applies to each Paid Service (as defined below) in addition to any terms and conditions that may be applicable to such specific Paid Service provided, however, that in the event of any conflict or inconsistency between any provision of the terms and conditions that may be applicable to such Paid Service and any provision of this Agreement, such conflict or inconsistency shall (except as otherwise expressly provided or agreed) be resolved in a manner favorable to TourTravelWorld.Com and/or its affiliates; and only to the extent that such conflict or inconsistency cannot be so resolved, the provisions of the terms and conditions applicable to such specific Paid Service shall prevail. TourTravelWorld.Com may amend this Agreement at any time by posting the amended and restated Agreement on the Site. The amended and restated Agreement shall be effective immediately upon posting. Posting by TourTravelWorld.Com of the amended and restated Agreement and your continued use of the Site shall be deemed to be acceptance of the amended terms. This Agreement may not otherwise be modified, except in writing by an authorized officer of TourTravelWorld.Com. Users be aware that the servers belongs to third party and the continuation to access the services are subject to availability as the same is interrupted at times by technical problems /hackers etc. and TourTravelWorld.Com or the parent company is not responsible for the costs/damages/extension of activation period etc. for the same in any manner under any circumstances. The Users are advised to spool the messages etc. offline and save them elsewhere in order to avoid any hacking or technical problem. Membership charges are subject to revision and are at the discretion of the TourTravelWorld.Com. The Site reserves right to block or delete the webpage at any time without assigning any reason etc. and the User's will have no claim or right whatsoever against the Site under any circumstances. Users agree to accept communications (through Calls/Chat/ Mails/SMS) on the numbers made available during registration or subsequently, via registration forms, posting requirements, feedbacks or any such form that has provision for phone number / mobile number irrespective of being on Do Not Call Registry; which include company / your number / an assigned point of contact; with respect to the subscribed services of TourTravelWorld.Com, Weblink .IN Pvt. Ltd. The User agrees and expressly states that he/she is solely responsible for the accuracy and completeness of the Registration Data and other information given to the Company in the application for Membership in order to use the Service. The User will ensure that the data shared with TourTravelWorld.Com doesn't contain any fraudulent, false, misleading or manipulated facts. The User agrees to have / have acquired all the necessary rights and authorizations before posting any information on the Site including but not limited to listing information, tour descriptions, photographs, maps, layouts, contact information etc. This would include the User's password and Username and all activities and transmission performed by the User at TourTravelWorld.Com. In case you chose to discontinue your association with us, you can unsubscribe / remove your account by completing the delisting procedure from your folder. 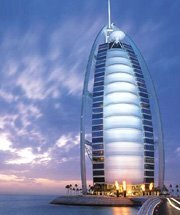 TourTravelWorld.Com owns and retains other proprietary rights in the site as well as the services. The Site contains the copyrighted material, trademarks, and other proprietary information of TourTravelWorld.com. You may not copy, modify, publish, transmit, distribute, perform, display, or sell any such proprietary information, except for that information which is in the public domain or for which you have been given permission. All logos, brands, trademarks, registered marks ("Marks") appearing in TourTravelWorld.Com are the properties either owned or used under license by the Company and / or its associates. All the rights accruing from the same, statutory or otherwise and intellectual property rights wholly vest with the Company / its associates. All rights not otherwise claimed under this Agreement or by the Company / its associates are hereby reserved. All payments for services at TourTravelWorld.com have to be made in favour of "Weblink .IN Pvt. Ltd." only. We have not authorized any individual or organization to collect payments in any other name (i.e. any other individual or organization name) or via personal Western Union or personal Paypal Accounts for any services rendered by TourTravelWorld.com. You are informed that under no circumstances will TourTravelWorld.com be liable for any damage caused in your transaction to such fraudulent individuals or organizations. To protect your interests, please contact us immediately if any such fraudulent individual or organization tries to mislead you. All payments need to be made on 100% advance basis to continue to use uninterrupted Paid Services. The User is solely responsible for maintaining confidentiality, all activities and transmission performed through his My Folder and shall be solely responsible for carrying out any online or off-line transaction involving credit cards / debit cards or such other forms of instruments or documents for making such transactions. TourTravelWorld.com assumes no responsibility or liability for their improper use of information relating to such usage of credit cards / debit cards used by the subscriber online / off-line. As we keep up high interactions with our clients and provide support to use the services extended at TourTravelWorld.com thus there is no provision for any kind of full or partial refund. It is expressly stated that paid amount would not be refund in any circumstance. Once an order is placed it cannot be cancelled as it is sent for processing and activation immediately. Your personal preferences changed in the course of time cannot serve as a reason for refund or charge back. The User, who is liable to pay Subscription Fees, shall pay it on demand even if the User disputes the same for any reason. In the event that the Company deciding the dispute to be in the User's favor, the Company shall refund to the User any excess amount paid by the User free of interest. In the event of late payment by the User of any sums due under this Agreement, the Membership and the services would stand terminated. The User shall be prohibited in persistently sending messages or make postings on TourTravelWorld.com to any other User or third party who access TourTravelWorld.com without reasonable cause or for causing any peril, harassment, annoyance, irritation, or anxiety to any person. Contains a virus, worm or other harmful component into the Internet or TourTravelWorld.com network system. In the event of a violation of any of the above mentioned covenants by the User, and same comes to the Company's knowledge, the Company shall have the right to delete any material relating to the violations without prior notice to the User. The Company shall issue a warning to the User to discontinue any activity, which leads to the said violations, and in the event the User continues with such activity, the Company has the sole authority to terminate or suspend the membership at TourTravelWorld.com and/or any other related facility. In addition to the right to indemnity available to the Company, the Company shall have the right to any legal remedy, against the User to recover the loss suffered by the Company and the harm caused to the goodwill of the Company, due to such violation by the User. You may not post, distribute, or reproduce in any way any copyrighted material, trademarks, or other proprietary information without obtaining the prior written consent of the owner of such proprietary rights. Without limiting the foregoing, if you believe that your work has been copied and posted on the TourTravelWorld.com service in a way that constitutes copyright infringement, please provide our Copyright Agent with the following information: an electronic or physical signature of the person authorized to act on behalf of the owner of the copyright interest; a description of the copyrighted work that you claim has been infringed; a description of where the material that you claim is infringing is located on the our Site; your address, telephone number, and email address; a written statement by you that you have a good faith belief that the disputed use is not authorized by the copyright owner, its agent, or the law; a statement by you, made under penalty of perjury, that the above information in your Notice is accurate and that you are the copyright owner or authorized to act on the copyright owner's behalf. TourTravelWorld.com's Copyright Agent for Notice of claims of copyright infringement can be reached by writing to the address located under the Contact Us section on the site. As TourTravelWorld.com is an online platform so it cannot guarantee confidentiality of information provided by Users who use the Site, so any breach in privacy due to technical fault or any other means is not the responsibility of TourTravelWorld.com. The User is entitled access to his own data and information stored in the database at TourTravelWorld.com (subject to prior confirmation of identity) and may edit or amend such data and information at any time. The Users need to be aware that when they voluntarily reveal identification oriented information (name, e-mail address) to anyone resulting in unsolicited messages from third parties then such interaction is beyond the control and liability of TourTravelWorld.com. TourTravelWorld.com is liable to share all information available with it in response to any legal proceedings including and not restricted to court orders, notices, subpoena, FIR etc. The copyright, know how or any other related intellectual property to the Service or TourTravelWorld.com shall be the sole and exclusive property of the Company. In the event the User has contributed any content to TourTravelWorld.com in any manner whatsoever, the intellectual property of the same shall stand automatically assigned to the Company and the User shall have no right or claim over the same. In the event the User during the term of his agreement or any time thereafter, uses such intellectual property in any other website or related activity, the same can be construed to be an infringement of the intellectual property belonging to the Company and the Company shall have the right to legal recourse in this regard. The information provided by the user of TourTravelWorld.com shall be in accordance to the respective laws. The information/data provided by the user may be used by all divisions/sister concerns/ventures of the TourTravelWorld.com to carry out the purpose of the project, whereas in no case it shall be communicated/ transformed/spread to any company/third party or whatsoever for any other commercial usage without the consent of the user. By using this Site, the Users understand that all the information provided by you including and not limited to the company's information, listing details are being submitted in the Site and by registering on this Site, you agree that the information posted by you is a public document that can be accessed by other Users of the Site. You agree and consent that TourTravelWorld.com can use all the information provided by you to help you in the pursuit for find a buyer / seller by either forwarding the requirements to registered Users or by showcasing your listing on the Site's search displays for the Visitors / Users to see and contact. TourTravelWorld.com is committed to respecting the online privacy of its Users and doesn't intend to sell, rent or share the Personal Information of Users to Third Party. The Site shall not transfer any such information unless it is legally required or to provide services to support your search. You agree to not hold TourTravelWorld.com liable for any breach in privacy due to technical or any other means. TourTravelWorld.com strives to provide a safe, secure User experience. The Site is committed to protect your Privacy but cannot guarantee / promise the same and you understand and agree that you assume all responsibility and risk for your use of the Site. By using the Services of the Site you consent to collection, storage, and use of the personal information you provide (including any changes thereto as provided by you) for any of the Services offered by the Site and consent that TourTravelWorld.com can contact your for offers, updates, service-related information, send newsletters, for feedback, surveys, promotions, contests etc. TourTravelWorld.com advises its User to exercise complete caution while completing online transactions and it is the sole responsibility of the User to verify and validate the information present on the site as well as the people whom they choose to interact with. TourTravelWorld.com shall not be responsible for any loss / damage due to negligence of the User. You have sole authority to access and update all the information posted by you on the Site and it is your responsibility to keep the same updated. It is strictly advised that Users respect the Privacy of other Users as well as keep their profiles updated. Access to services of the Site including updation / deletion of profile may be restricted / denied if it comes to the notice of TourTravelWorld.com that this would violate anybody else's rights or if so requested by a legal entity. TourTravelWorld.com only offers a platform to showcase the Tour travel packages and has no role in any transaction or communications and hence shall not be liable for any loss or damage of any sort arising out of the use and/or temporary or permanent discontinuation of its services. Notwithstanding anything to the contrary contained herein, TourTravelWorld.com, liability to you for any cause whatsoever, and regardless of the form of the action, will at all times be limited to the amount paid, if any, by you to TourTravelWorld.com, for the Service during the term of membership. TourTravelWorld.com being a public site with free access assumes no liability for the quality and genuineness of responses. TourTravelWorld.com cannot monitor the responses received by any User in response to the information posted by them and so displayed on the site. User should conduct its own background checks on the bonafide nature of all response(s). TourTravelWorld.com will not be liable for any inaccuracy of information on this website. TourTravelWorld.com expressly disclaims any liability arising due to presence of any fraudulent information published on the site. The User hereby agrees to take full responsibility to research well before making using of any information on the Site. TourTravelWorld.com shall not be liable for any loss or damage of any sort arising out of the use and/or temporary or permanent discontinuation of its services. Notwithstanding anything to the contrary contained herein, TourTravelWorld.com, liability to you for any cause whatsoever, and regardless of the form of the action, will at all times be limited to the amount paid, if any, by you to TourTravelWorld.com, for the Service during the term of membership. 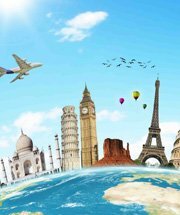 The Company makes no representations and warranties of any kind, whether expressed or implied, for the Services and in relation to the accuracy or quality of any information transmitted or obtained through the Services of TourTravelWorld.com. The Company neither guarantees nor offers any warranty about the credentials, status or authenticity of the tour travel agent / tour operators / hotels etc. contacting the Users by access to the information/data posted by the Users. The Company does not warrant that TourTravelWorld.com or any of the web sites linked to TourTravelWorld.com be free of any operational errors or that it will be free of any virus, worm, or other harmful component. The User acknowledges that it is not the Company's policy to exercise editorial control over and to edit or amend any data or contents of any emails or posting or any information that may be inserted or made available or transmitted to a third party in or through TourTravelWorld.com. The Company may refuse, suspend, terminate, delete or amend any artwork, materials, information or content of any data or information or posting so as, in the sole opinion of the Company, to comply with the legal or moral obligations as placed on the Company and to avoid infringing a third party's rights or any other rules, standards or codes of practices that may be applicable to the posting or TourTravelWorld.com or the internet. It is the sole prerogative and responsibility of the User to check the authenticity of all or any response/ inquiry received or information displayed. 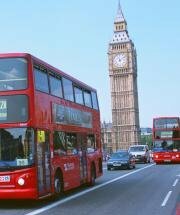 TourTravelWorld.com is a public site with free access and assumes no liability for the quality and genuineness of responses. TourTravelWorld.com neither guarantees nor offers any warranty about the credentials of the contacted parties including prospective Tour Travel agent / Tour operator / User and it is for the users to test, analyse and verify the same at their own end. The data fed by the User can be updated by the User alone and is solely their liability so TourTravelWorld.com is not responsible for the updated status of the information. Allow all data and information supplied by the User in using the Service to remain at TourTravelWorld.com for the use of the Company in accordance with service agreement with the User, notwithstanding the termination or suspension of the Service to the User herein. Unless the User informs the Company to delete all such data and information following the termination or suspension of the Service to the User, such data and information remain in the Company's property, records and databases. The Terms and Conditions of this agreement will be updated from time to time and posted at TourTravelWorld.com. The User should visit the site periodically to review the Terms and Conditions. For the avoidance of doubt, the User's continued use of the Service constitutes an affirmation and acknowledgement of the amended terms and conditions. The Users are solely responsible for your interactions at TourTravelWorld.com and TourTravelWorld.com reserves the right, but has no obligation, to monitor disputes between Members. TourTravelWorld.com will not be party to any legal proceedings between User and any other registered or free User for any transactions through the Site. TourTravelWorld.com will always abide by governing / legal authorities order and cooperate fully through the process, but the costs of the same shall be recovered from the party that has implicated TourTravelWorld.com in such case. For any kind of legal dispute related to TourTravelWorld.com would be dealt in only territory of Delhi. All the legal issues are subjected only to pertinent contemporary's laws in force at New Delhi to the jurisdiction of courts located in New Delhi only. This Agreement and any dispute or matter arising from incidental use TourTravelWorld.com is governed by the laws of India and the User and the Company hereby submit to the exclusive jurisdiction of the courts at Delhi, India. This Agreement, accepted upon use of the Site and further affirmed by becoming a User of the TourTravelWorld.com, contains the entire agreement between you and TourTravelWorld.com regarding the use of the Site and/or the Service. If any provision of this Agreement is held invalid, the remainder of this Agreement shall continue in full force and effect.